There are only a few hair colors that can evoke the same strong reaction as redheads can do. Some people literally see red before their eyes when they encounter a ginger-colored redhead, while others warm up by seeing red hair colors. Whether positive or negative,there will always be a reaction. I have known some remarkable red heads in my life with various lighter and darker shades, and have an almost passionate passion for this hair color, maybe this passion is in my genes. Red hair comes in many nuances, from the palest pink, red blonde, also called strawberry blonde, to the darkest red tinted brown. Red hair is possible for every structure, coarse, medium and fine, and can just like any other hair color have a growth pattern, such as strokes, curls or straight hair. Redheads are the second in row to have a tendency to generally thick hair, the leader herein is natural blonde hair, but otherwise the color behaves like any other. 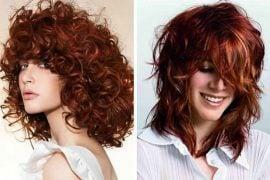 Without any doubt, the current and strongest trend in hair coloring is red. 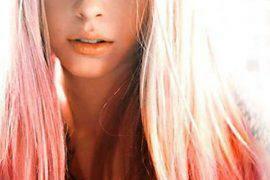 At present, in the fashion world and Hollywood the red hair colors are almost a majority. Whether your hair is extremely light, light or dark mahogany, you will always provide a statement. Once you’ve decided to dye your hair red, you have the choice of many methods and many hues.If you’re not sure whether to dye your hair brown or red, then mahogany hair dye which is a reddish-brown color is the perfect solution! This color is in fact brown, but with a red shimmer. The word red in red hair covers a huge range of colors ranging from warm reddish brown to quite unnatural hair colors like purple. Previously, the first step towards a red hair color was bleaching this is with the new techniques rarely needed. The DIY dye home kits are extremely good and you can dye to your heart’s content. Previous articleRed hair color: this is how beautiful it can be!